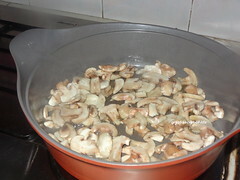 Based on the number of mushroom based recipes I have posted in this blog you would have already guessed that mushroom is one of our favourite vegetable.. and you are correct. We love it. 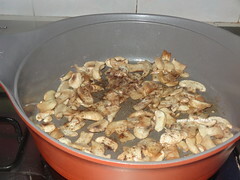 So I buy mushrooms almost every week. This cheesy melt is very tasty recipe. Also perfect for weekend brunch. 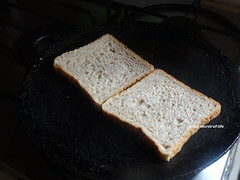 Heat flat tawa and place buttered side of the bread down on the tawa (buttered side should be at the bottom touching the pan). 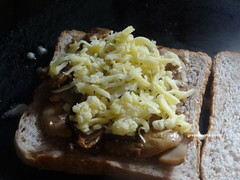 Spread Mushroom and cheese on it. Let the bread brown it in medium flame. 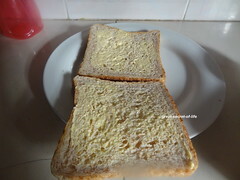 Toast another bread and keep the toasted side on the top to close it off. 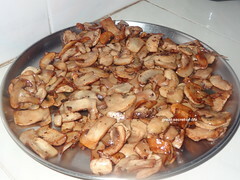 WE too love mushrooms as lot.Kids must have enjoyed this ,right ? Wow!! 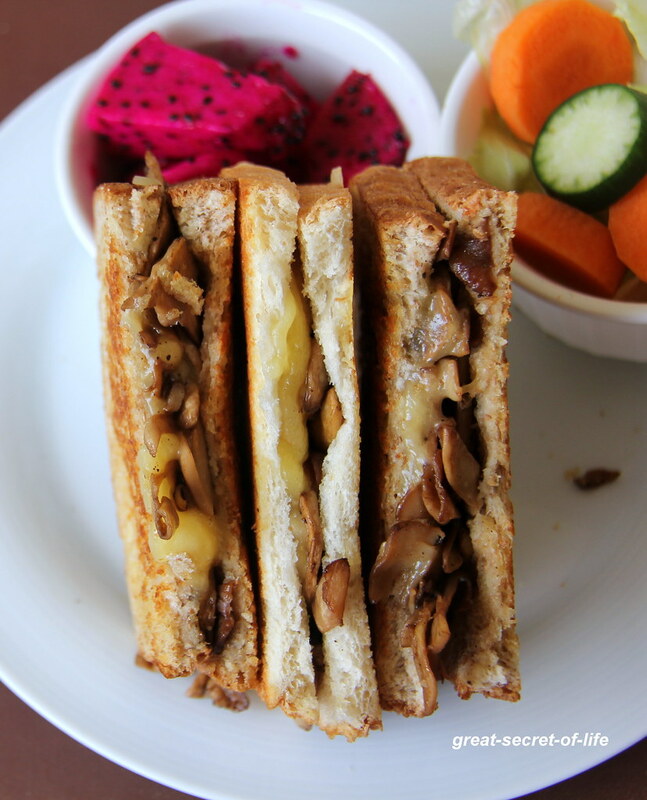 Love the term "mushroom melt" Yumm!! 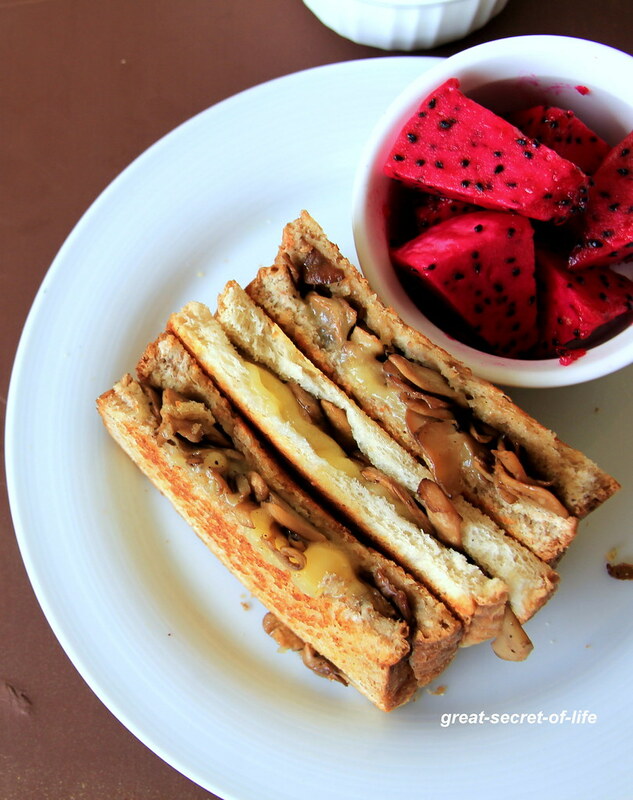 yummy combo and delicious sandwich.. nice clicks..
Love the title :) Looks yum ! 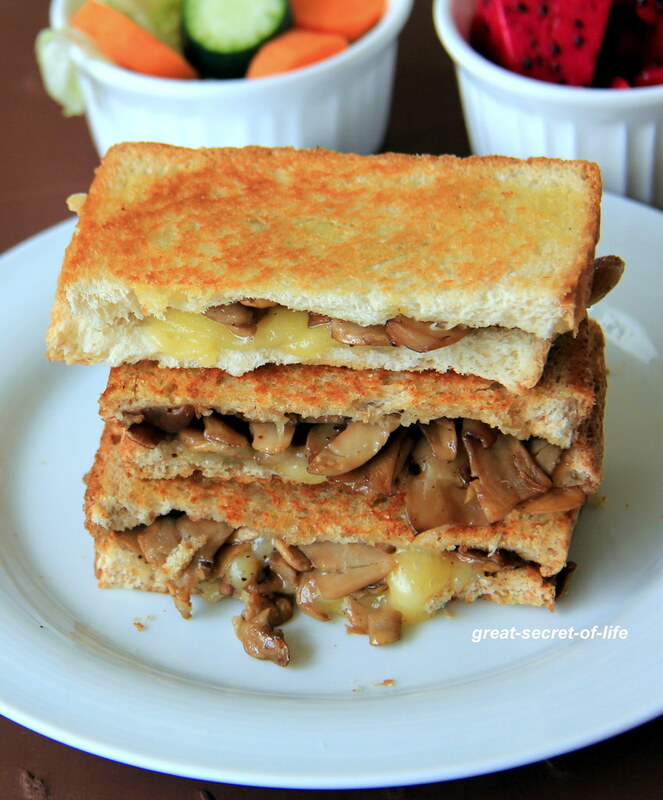 mushroom,cheese with bread.totally sandwich form.nice idea.i vl try.